Annually, the Museum, teaming with the Los Altos Historical Commission and the City of Los Altos, sponsors the Margaret Thompson Essay Contest. Margaret Thompson was a Historical Commissioner in the 1980’s and in 2014, she received the Los Altos Historic Preservation Award. 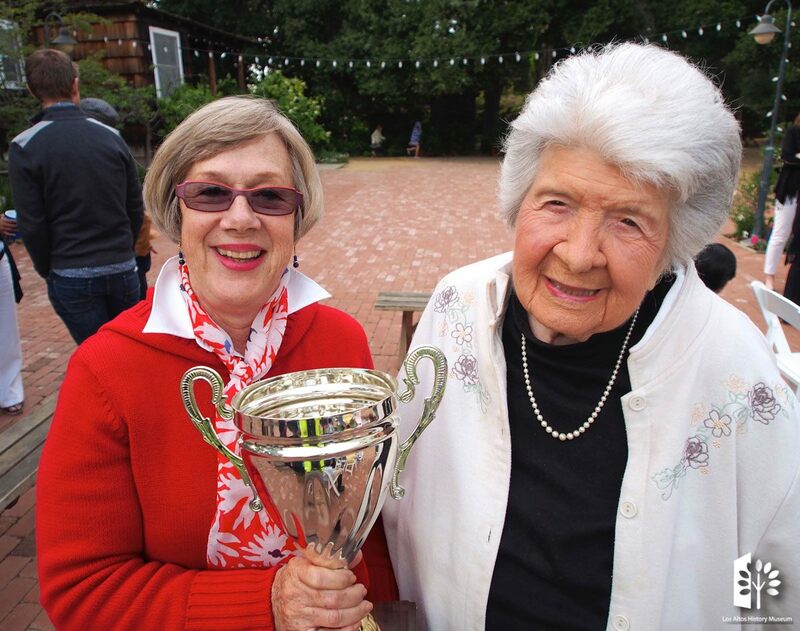 This award is given to individuals, groups, organizations, or projects that exemplify the spirit of historic preservation in the City of Los Altos. 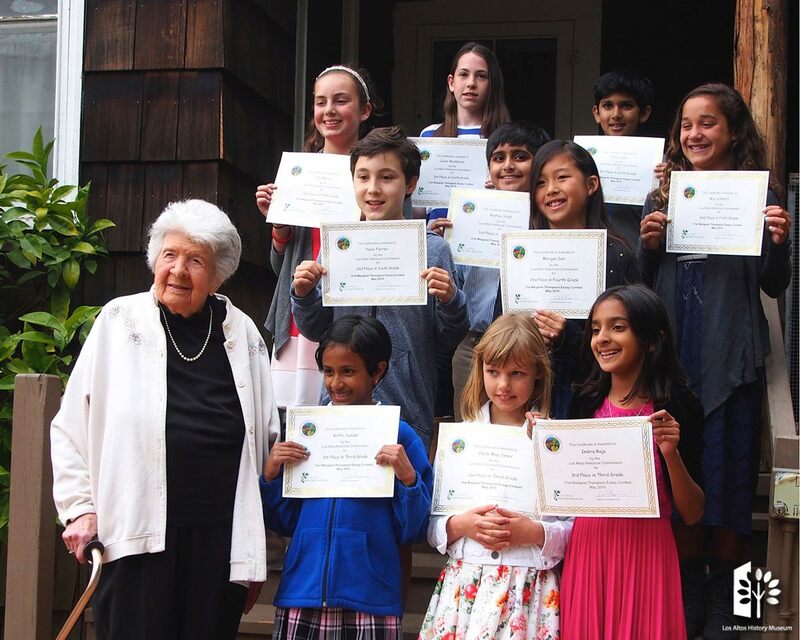 Each year, the Museum’s Education Committee creates the topic for the essay for all public and private school students in grades 3-6, attending schools within the Los Altos School District boundaries. Completed essays are due in early March, and winners are recognized at an Ice Cream Social in early May. 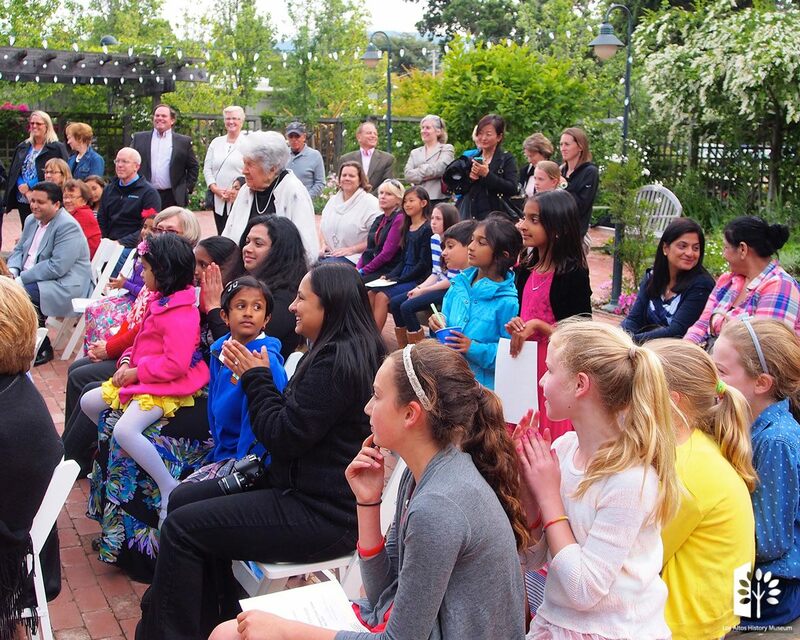 Each grade level has a 1st, 2nd, and 3rd place winner. 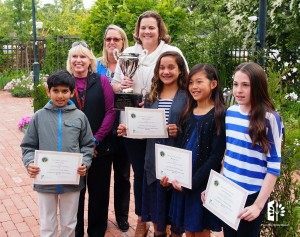 The participating school with the most winners receives the 25th Anniversary Margaret Thompson Essay Contest Trophy to keep for the coming year. Winning students are also honored at a City Council meeting that same day.